Keepsake boxes are becoming increasingly popular in young families. 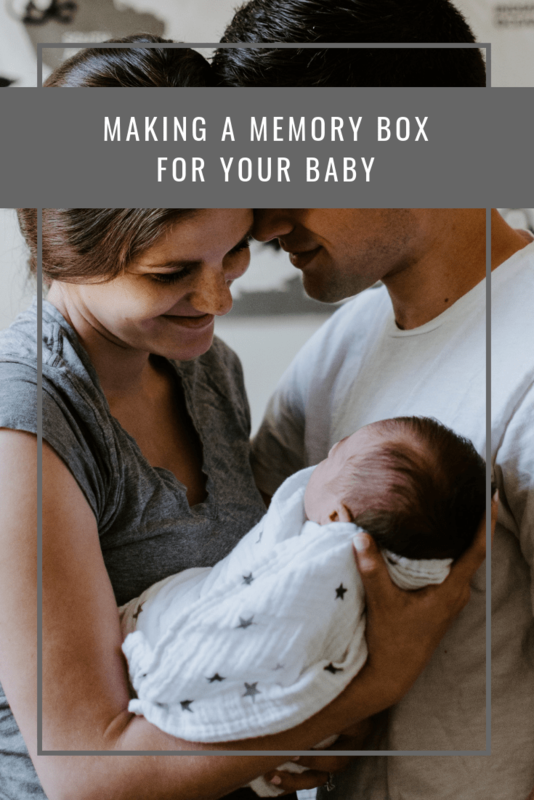 Indeed, it’s not uncommon to find both parents working to create the perfect memory box for their baby. It is, undeniably, a labour of love. A memory box doesn’t only serve as a collection of your baby’s favourite and first-time everything. Parents try to write down notes, prepare stories and everyday anecdotes for their children to discover when they’re older. While the box grows with your baby and follows the evolutions of your bundle of joy, it’s a lot of work to prepare, especially if you’re not used to working on long-term creative projects. But, you need to think of the memory box as an organic gift for your baby; it’s an ongoing process. While it might not look like much as first, it will be a fantastic experience! Most children don’t have many memories of events that occurred before their 3rd birthday. The brain isn’t fully equipped to remember during the first years, and therefore your box can help them to tap into forgotten memories. Help them explore sensory experiences, as the brain can remember a past event when coming across the same experience again. For instance, you can compile an album of their favourite nursery rhymes to tap into audio memories. For modern parents, though, when most nursery songs are online, you might need to convert your files from Youtube to MP3. You can also record yourself singing them to sleep. How many pictures do parents take of their baby? Since the invention of digital cameras, most parents take on average dozens of photos a day, and even more on holiday. You might need to select only the best and more meaningful shots to prepare a photo album of your baby. Admittedly, you might feel that one album isn’t enough. But you can create albums to cover the different topics you’d like your child to remember, from their nursery room to the first Christmas with the family. Your memory box is made to hold things, A LOT of things. Therefore, it’s important to add sufficient items that will revive old memories when your child discovers and touches them. Audio and visual clues are part of the precious treasure, of course. But you can’t afford to finish the box without putting inside some of your baby’s favourite things. 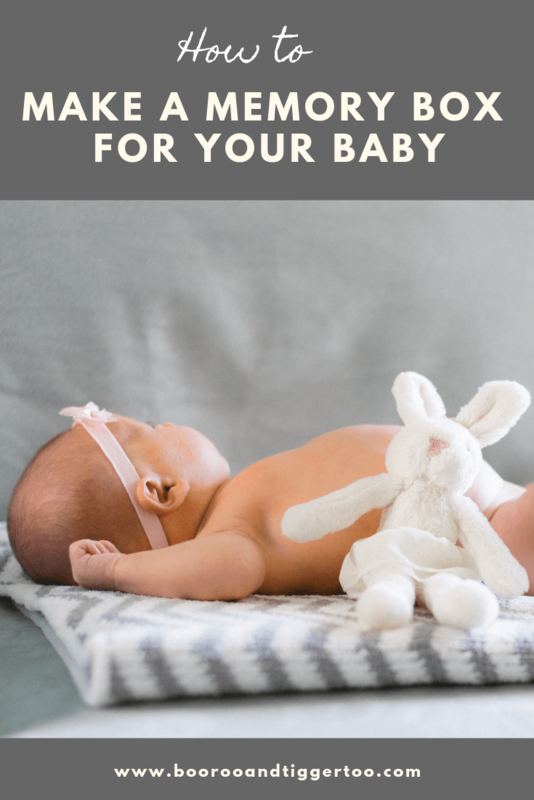 It’s a great place to store their first toy, for example – however, if your child still sleeps with their first soft toy, you might want to pick the second best toy instead! As a rule of the thumb, most parents choose to keep a couple of toys, the first onesie, and some of the best outfits of their baby. Some also add a book, especially if they use to read it to their unborn child. While it might be tempting to pack everything, you need to make a choice and leave some items behind. You are ready to start your very first memory box. Compiling little treasures for your child to discover later can help you, as a parent, to make the most of the time you spend together. In fact, some parents add a memory box for each year that passes, building the legacy of their baby’s childhood. And in later years, your child could even help to you to prepare the yearly keepsake box!